In my next life I want to be a cartographer. More specifically, a cartographer in the time of Columbus, Magellan and de Gama. In 1992, to coincide with the 500th anniversary of Columbus’ voyage to what turned out to be the West Indies, Rand McNally published Atlas of Columbus. This beautiful book is a collection of reproductions of the maps and charts created in Europe in the 15th and 16th centuries. Each illustration is accompanied by text about the cartographer and the cartographic or historical importance of the map or chart. This is a wonderful book for map-lovers and history-lovers alike. Check it out! 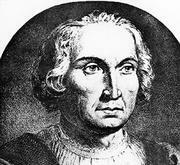 For more information about Christopher Columbus, use our Biography in Context e-resource to research a wide range of individuals, from Lou Gehrig to Genghis Khan.